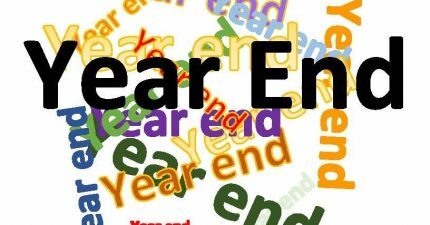 Year End: Are You Ready? – CEOHR, Inc.
‘Hard to believe, I know, but the end of the year is fast approaching! Preparing now can save you a lot of headaches as December 31 gets closer. Three of the top tasks to accomplish prior to the end of the year are discussed herein. Included with this month’s blog is a more comprehensive listing of year-end tasks, in the form of a Year-End Checklist to help you manage the items that can cause the most problems if left unattended. One of the biggest and more time-consuming of the year-end tasks is ensuring your employees’ address information of record is correct. By tackling this now, you can reduce or eliminate the number of W-2s that are returned to you due to insufficient addresses. Send out a communication now to all your employees, having them confirm their address information. Better yet, if you can spare the time and personnel, have someone contact each employee by phone or in person and verify their addresses that way. It ensures that you get timely responses. Another area that can cause problems is employee who work for you as bona fide contractors. Before sending out their 1099s, make sure you have a W-9 and tax ID on file for each of them. A third area to tackle are Social Security Numbers (SSNs). Ensure employee names and SSNs match and are accurate. To do this, visit the Business Services Online section of the Social Security Administration website. You will be able to check SSNs at no cost to you. 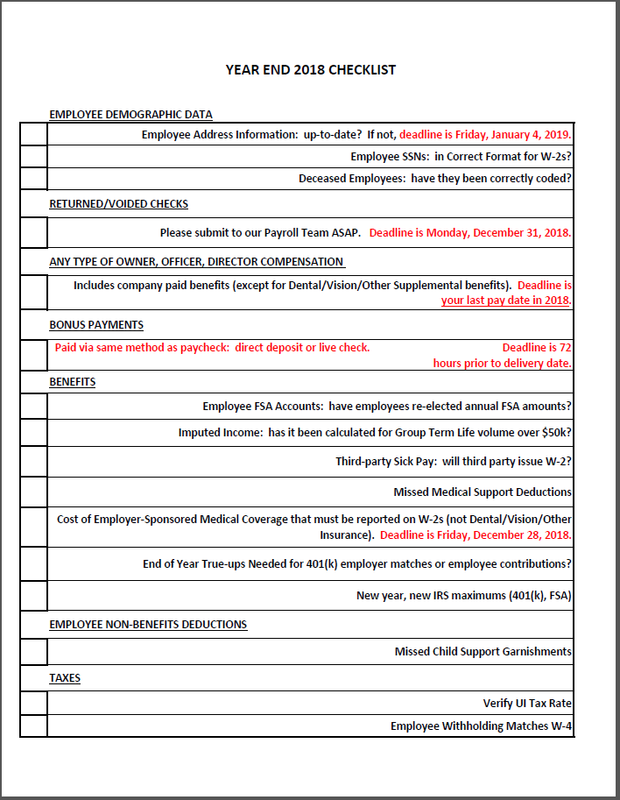 Be sure employee wages are recorded in the correct year. Using the accounting concept of constructive receipt as the date when the person has unrestricted access to the funds is what counts. So, so put wages into the correct year by using the paycheck date. If you are paying employee wages for the last week in December, but the paycheck is dated in January, that income counts toward January. The exception is if for some reason you pre-pay wages in December, for salaried employees, for wages they are owed for January. Read more about timing employee paychecks at year-end, as well as other year-end income and expense timing issues. Determine how you will deal with employee paychecks that have not been cashed for a long time. You must make a sincere effort to find the employee (use certified letters so you can show that the letter was undeliverable). If you can’t find the employee, you are required by state law to turn over un-cashed paychecks to your state revenue department. They will continue to work to find the individual. You will also need to account for the payroll liability for the un-cashed paycheck in your accounting system. The way it’s handled depends on the likelihood that the employee will cash the check. Determine taxable amounts for employee W-2s for certain benefits, including percentages for personal use of company vehicles and cell phones by owners and employees and employer-paid educational expenses that may be taxable. Check with your tax advisor on the reporting requirements for these benefits.